Toronto’s very own Alfred Service has been nominated for two Webby Awards. The 24/7 dry cleaning, laundry, shoe shine and shoe repair business will be recognized in the Outstanding Websites category for Best Home Page Design and the Best Use of Animation or Motion Graphics. Currently in its 19th year, the internet’s leading awards show presents two honours for every category. The Webby Award is selected by the International Academy of Digital Arts and Sciences, a 1,000+ member judging body. The second is The Webby’s People’s Voice Award, voted on by the general public. You can help Alfred to beat out its competitors (the likes of TED, Reuters TV, National Geographic and The Guardian) by casting your vote — click here for Best Home Page and here for Best Use of Animation or Motion Graphics. 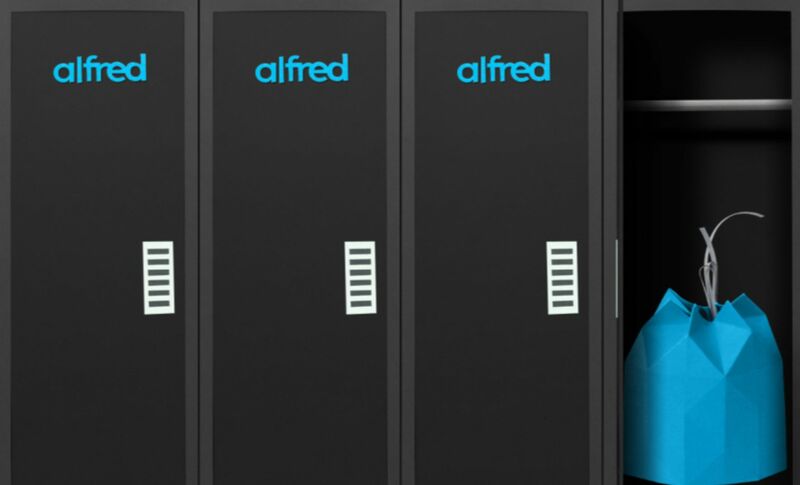 Alfred’s innovative service utilizes lockers in residential buildings and public depots where customers can drop off and pick up their garments at any time. Users place an order via text or the Alfred iPhone app, and the turnaround time is typically within 48 hours. Alfred recently expanded its services to include wash and fold laundry, for $1.99 per pound with a minimum order of 10 pounds. Voting for this year’s Webby Awards will close just before midnight on April 23rd, 2015. The winners will be announced during the ceremony on May 19th, which will be available for streaming through the Webby Awards website.